In today‘s passage, Jesus foretells what the disciples can look forward to. They can expect to be ”handed over” to governors and kings, which will give them the test and authenticity of their faith in him. At the same time, they are not to be anxious about what they should say. The words they need will be given when the time comes. They find in themselves a strength and confidence they never knew they had. Jesus makes it clear that following him will result in families being broken up – father against child, children against parents. Alas, this prediction, too, has been fulfilled all too often both in the past and in recent times. This is the price to pay for those whose lives are built on truth, love and peace. Those who prefer to live their faith in comfort and security would take Jesus‘ message as a personal matter without the imperative of social justice. Jesus had said that all those who wished to follow him would have to take up their cross and go after him. The servant is no greater than his master. ”Whoever loves his own life will lose it; whoever hates his own life in this world will keep it for life eternal. 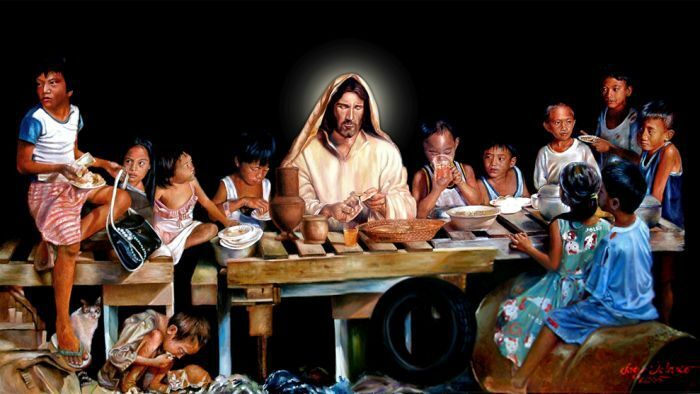 Whoever wants to serve me must follow me, so that my servant will be with me where I am” (John 12:25-26). Some of us may find it strange to be talking about such painful things during the Christmas season. If we think like that, then it may indicate that we do not fully understand the nature and purpose of Jesus‘ birth. We tend to insulate the whole Christmas scene with romanticism and even a great deal of sentimentality but there was nothing sentimental about the Child being born in a poor social conditions, far from home, already ignored by the religious leadership of the day and whose only visitors were a group of poor and marginalized shepherds and some mysterious visitors from the East. They all indicate the direction of Jesus‘ life, ministry and mission.